I had a dream I was on a train that was moving so fast, it missed every station. I felt the same question repeat as we flew by the blur of faces standing idly – “Was that my stop?” No matter where you are in life, or what the topic of the day is, it boils down to family, friends, and culture and how you support each of them. Something we Americans do very well is move so fast, overloaded with information and consumption, that we sometimes forget to stop, relax, and enjoy the moments. After winding down from a busy week, I unplugged from technology and roamed the garden for inspiration. 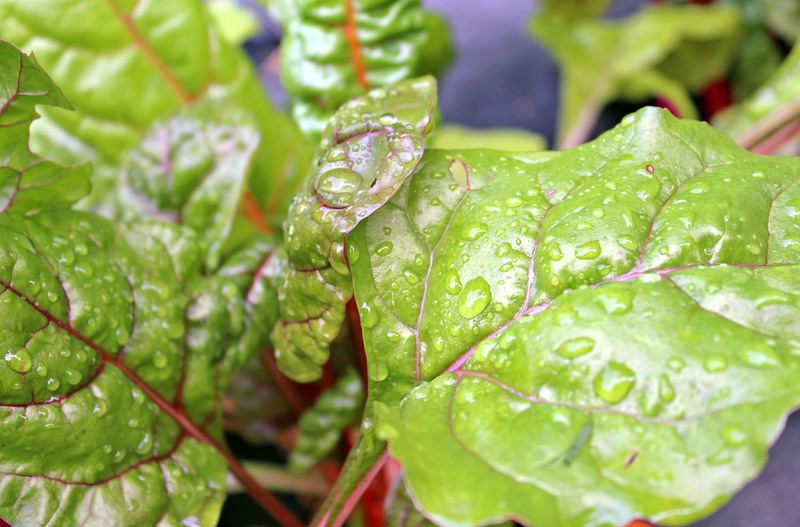 Having accidentally doubled our Swiss chard planting this year, we are graced with a plethora of rainbow chard that will no doubt yield the opportunity to experiment with numerous culinary variations. 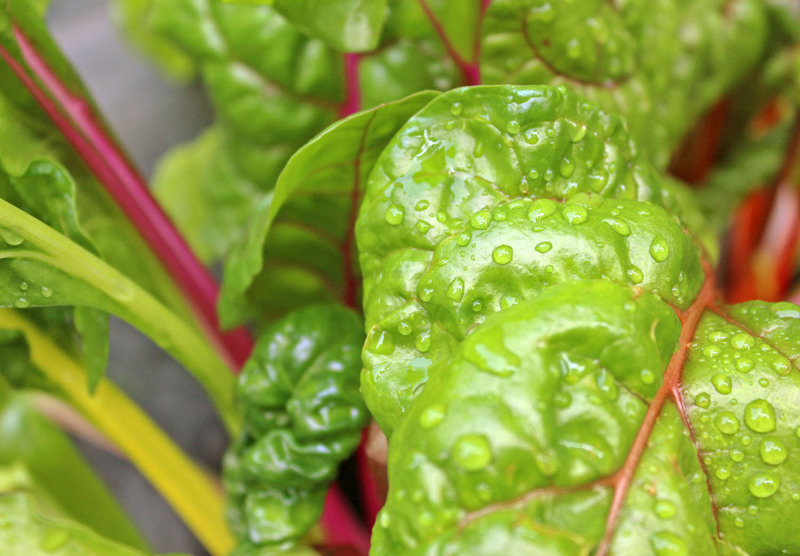 Chard is a hardy green, much like spinach, but can keep producing through the heat of summer and deliver a seemingly never ending crop. I had a dozen different chard recipes in my head as I started writing, and in the end, decided on something most fitting to surprise Victoria with end-of-week hors d’oeuvres on the patio while sipping a fine Chardonnay. Dreams are what we make them, and on this day, a happy ending. 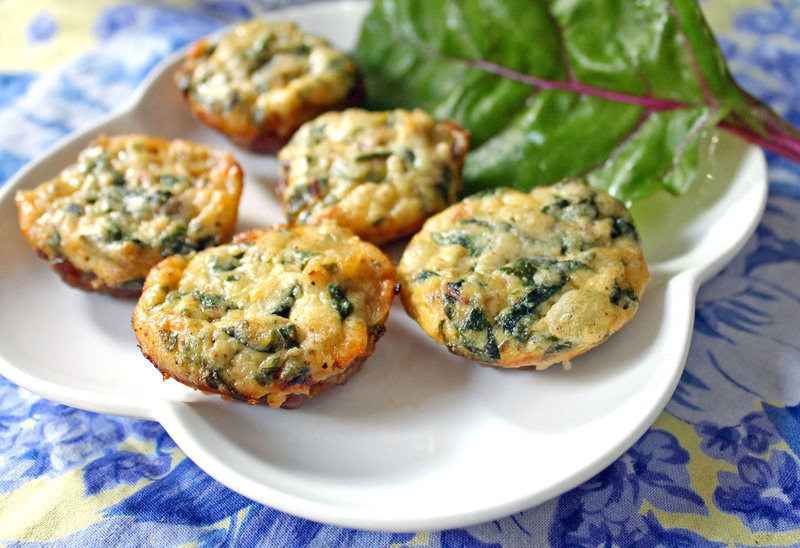 TIP: Whether using a mini muffin mini or regular size, limit the sausage in order for chard flavor to dominate. Preheat oven to 400°F. 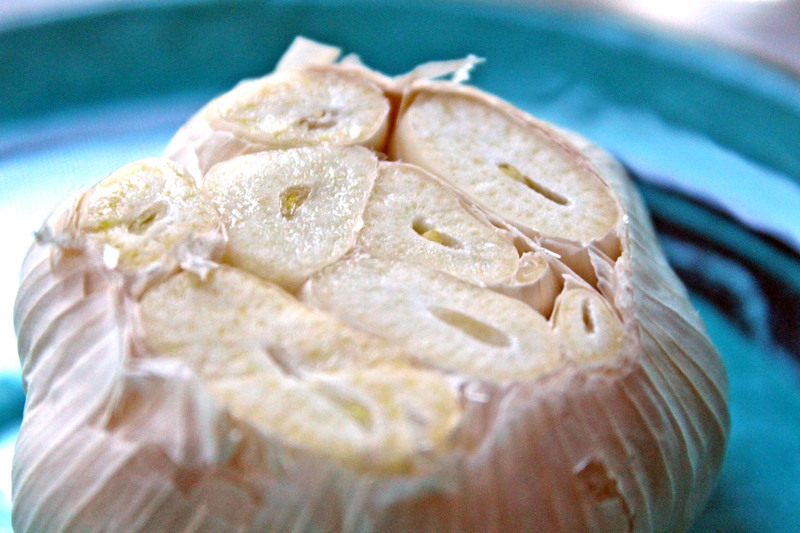 Wrap garlic head with foil cut side up, and drizzle olive oil over the garlic and season lightly with salt and pepper. Bake in oven for 40 minutes, then remove from oven and let cool. In large sauté pan on medium high heat, sauté onions in olive oil for 3 minutes. Add chard and cook for 5 minutes. Remove from heat and set aside to cool. In large bowl, add ricotta, nutmeg, coriander, parmesan and mozzarella cheeses, and season with salt and pepper. Stir in sautéed chard mixture. Squeeze each clove from roasted garlic head and mash slightly before adding to bowl with other ingredients. Add egg to mixture and stir to combine. 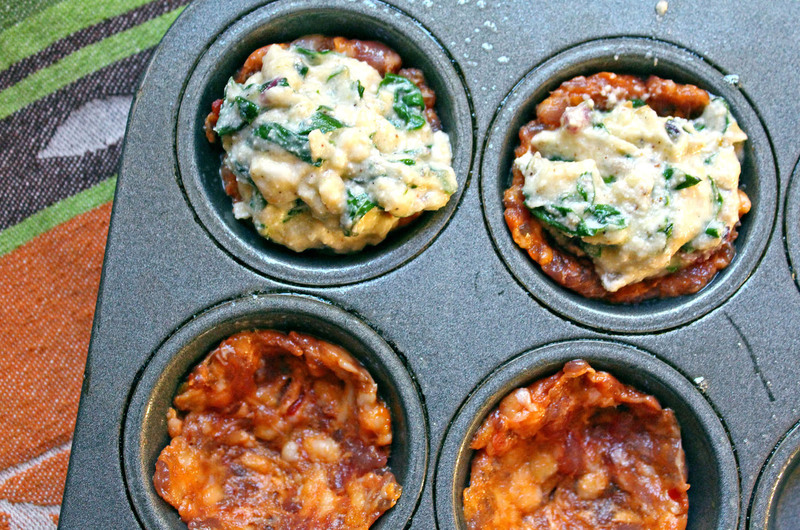 In a mini cupcake pan, press a teaspoon of sausage into the pan lining the edges to form a small cup. Then spoon in filling into each. Bake in oven at 350°F for 15 minutes, the remove from oven and let cool. This entry was posted in Appetizers, Cooking, Summer and tagged Cheese, Garden, Pork, Vegetables by cfaust. Bookmark the permalink. Saw that at a restaurant once. Definitely a great party hors d’oeuvres or on hand for a breakfast side like you mentioned. This version was most tasty, and next time will use a tads less sausage for base and let the ricotta and chard be more prominent.